SKU: INKREDIBLE 3D. Categories: Cellink, Governmental Research, Universities. 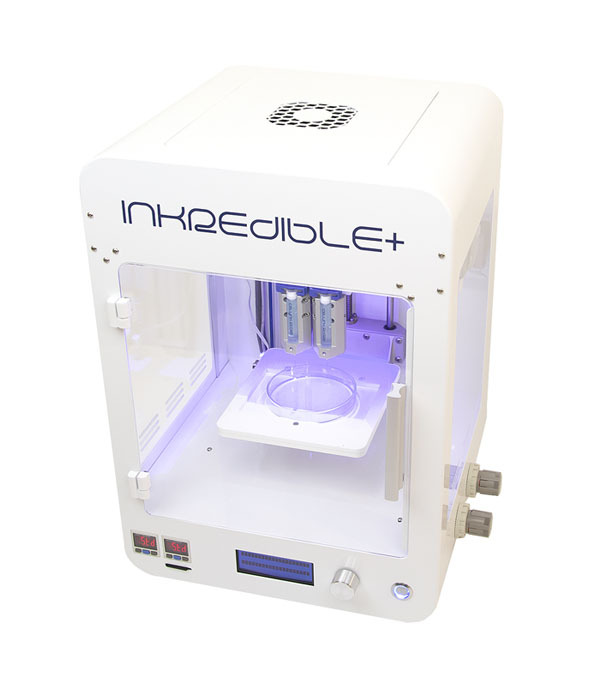 Robust and reliable, the INKREDIBLE+ 3D Bioprinter is the only true benchtop bioprinter on the market. 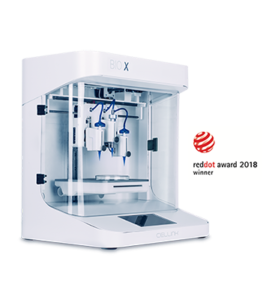 The newly optimized benchtop bioprinter is perfect for the ultimate bioprinting of human tissues and tissue models for 3D culture in today’s ever more advanced research applications. With the INKREDIBLE 3D Bioprinter on your lab, you’ll see a dramatic increase in your research productivity in a wide range of applications with unrivalled support as a benefit. The INKREDIBLE 3D bioprinter is a pneumatic-based extrusion bioprinter with dual print heads and UV LED curing system for bioprinting of complex human tissue models and organs for tissue engineering research. It is a cost-effective unit for innovators to enter the 3D bioprinting field and start bioprinting living tissues at ease. The INKREDIBLE+ can be used right on a lab bench thanks to our patented Clean Chamber Technology. With a HEPA filtered positive air pressure inside the printing chamber you can be sure that your bioprinting is sterile. Furthermore, the INKREDIBLE+ also contains a system for heating the cartridges, allowing for even more diverse uses in bioprinting. 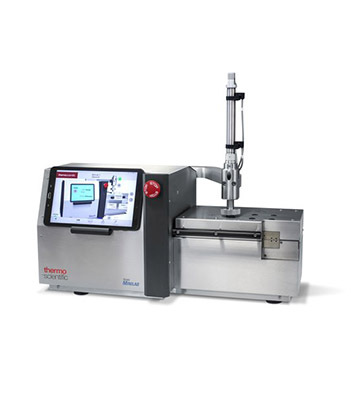 Both bioprinters can be used as standalone units thanks to their LCD controllers or they can be monitored through a computer with the use of the accompanied software. Your three-dimensional design files are translated into coordinates and instructions for the INKREDIBLE which allows the bioprinter to move according to a defined path. The bioprinting process works through the extrusion of a bioink or hydrogel biomaterial combined with human cells in a bottom-up, layer-by-layer fashion until a 3D construct is built. Once the construct has been bioprinted, it is crosslinked using the UV LED curing system or ionic solutions, depending on your bioink’s crosslinking requirements. The dual printheads allows you to use different types of cells in the same structure, without swiching cartridges or pausing the bioprinting process. This makes it possible to print using for example a support structure, thus enabling the INKREDIBLE to bioprint complex structures that would otherwise collapse. CELLINK’s patented Clean Chamber Technology allows the INKREDIBLE+ to operated outside of a biological hood – creating a true desktop 3D bioprinter! With a HEPA filtered positive air pressure inside the printing chamber you can be sure that your bioprinting is sterile. The UV-crosslinking system hardens the structure allowing it to be moved without losing its structure. Both the INKREDIBLE and the INKREDIBLE+ are delivered with 365 nm LED:s as standard and the INKREIDIBLE+ even has a 405 nm option to further widen the range of bioinks which can be crosslinked.